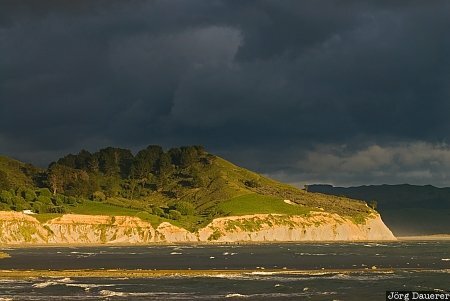 Morning light briefly hits the coast of the Mahia Peninsula in front of dark clouds, Hawke's Bay, New Zealand. This photo was taken in the morning of a rainy day in early November of 2008. This photo was taken with a digital camera.